‘Ooooooh, aaaaaaaaaaaaaaaah!' Cries of joy, disappointment and support rise from the crowd that has gathered on the river shores. Beautiful wooden prams, packed with rowers, pass in sprays of water drops. Sweat on the heads and bodies of the men, who paddle like crazy, for the honor of their neighbourhood or village. the men and women selling food and drinks, do good business. Around this incredible and authentic event we take you on a journey through South and West Mali, making you experience the country and its population in a different way. The people’s hospitality, have a meal at the court of a local family, drink tea the Malian way, the simplicity of Malian day to day life and the mostly unpredictable rhythm of the day; we gladly introduce you to the aspects of Mali that remain a secret to most visitors. 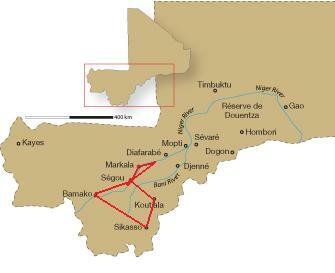 Ségou, Papillon’s home base, is the haven of this journey. Till the beginning of the 19th century, Ségou was the capital of an important Bambara kingdom. Up till to today the remains of these times are still visible. Nowadays Ségou, with over 100,000 inhabitants, is known for its position on the Niger river, its annual music festival ‘Festival sur le Niger’ and Maryse Condé’s books. Its position at the Niger makes it a perfect place for excursions by pirogue or pinasse to nearby villages, such as Ségou Koro. After a long period of colonization, Mali gained formal independence from France on September 22nd, 1960. 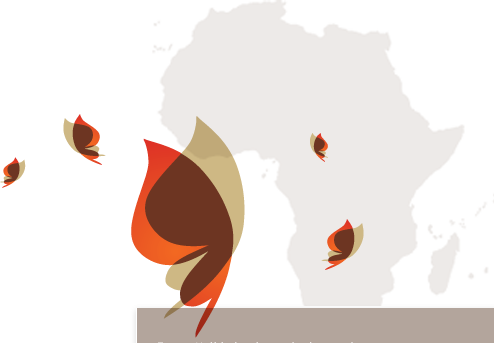 As a result the 22nd of September was proclaimed an official holiday, that in many places is celebrated with authentic Malian activities. All accommodations and meals, use of tents, (English spoken) local guides, transport of luggage during the hike, all excursions and transport as mentioned in the itinerary, airport transfers and tourist taxes. (Air) fare to Mali v.v., visa, vaccinations, travel and cancellation insurance, drinks, souvenirs, personal expenses. We travel partly by public transport (bus) and partly with especially for our group arranged transport. Rooms with fan, based on double occupancy (9 nights) and tents, double occupancy (4 nights). Facilities are simple in campments and villages. The single supplement gives the right of single use of rooms and tents. A good condition is required for this journey in which facilities will be simple in campments and villages. For practical information and information on Mali click here.